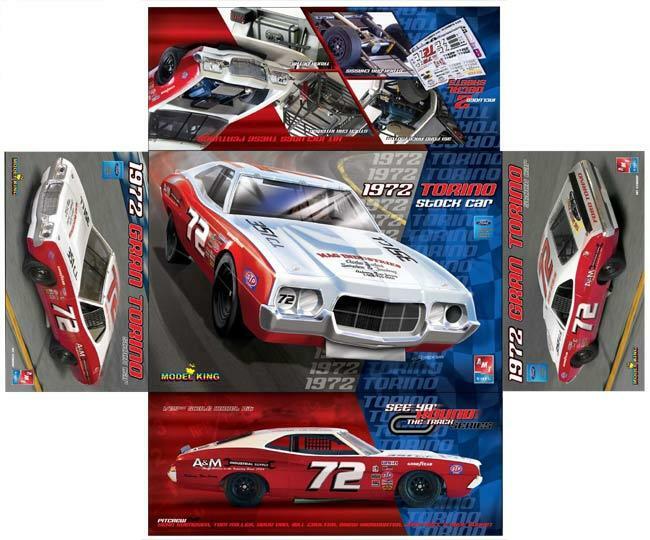 I designed the box art, automotive illustration and decals for this re-issue of the '72 Ford Torino stock car kit for Model King. 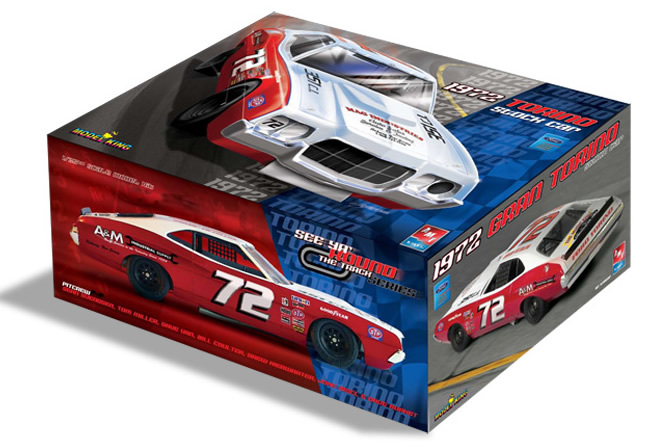 Created as part of a collection of vintage NASCAR kits, the packaging uses a similar design I created for the other cars in this series but modifies the colors a little to give it it's own uniqueness. 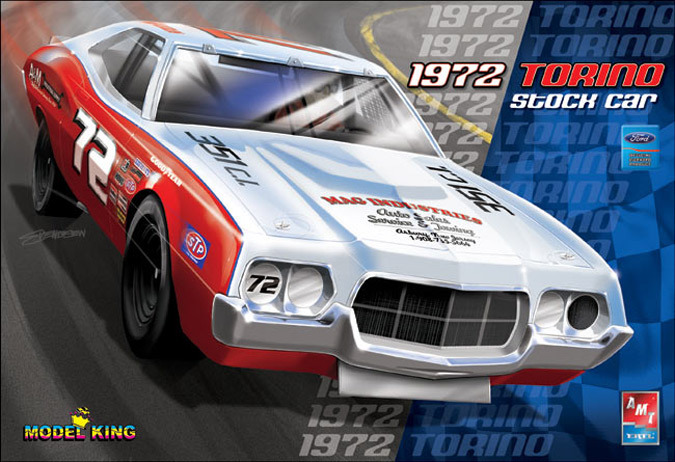 Other boxes and decal sheets I designed for this series include a Monte Carlo, Cyclone and Laguna. The project encompassed creating the box illustration, the box layout and the art work for the decal sheet. First I created the automotive illustration shown on the box top. It's a digital illustration that was drawn and painted by hand in Photoshop CS2 with a Cinteq monitor. I also created the layout for the package design using Photoshop and created the art for the decal sheet in Illustrator. I also created a fictional design for the car's paint scheme to avoid licensing issues with known drivers and sponsors. Although it is fictional, I did research these styles of race cars carefully to give them an era correct look. I also tried to add details to the sheet which I thought serious modelers would appreciate; things like gauge faces, grill screens and many different variations of numbers and secondary sponsors. Although, I mostly build the photography models as well my Model King work, this particular model was built by fellow modeler Tom Miller. 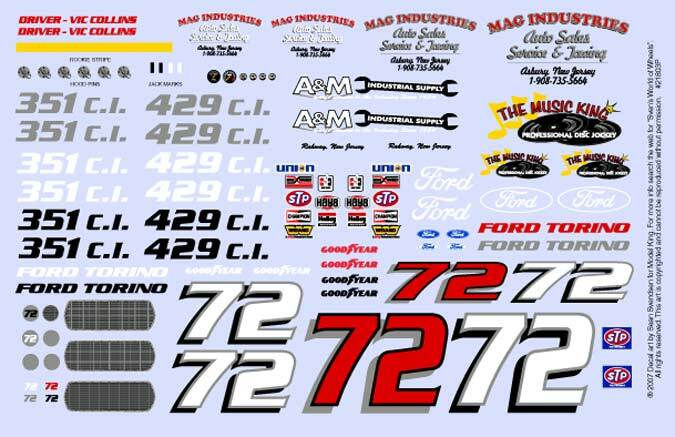 See other examples of my automotive illustrations, model kit box art design and decal design art work.